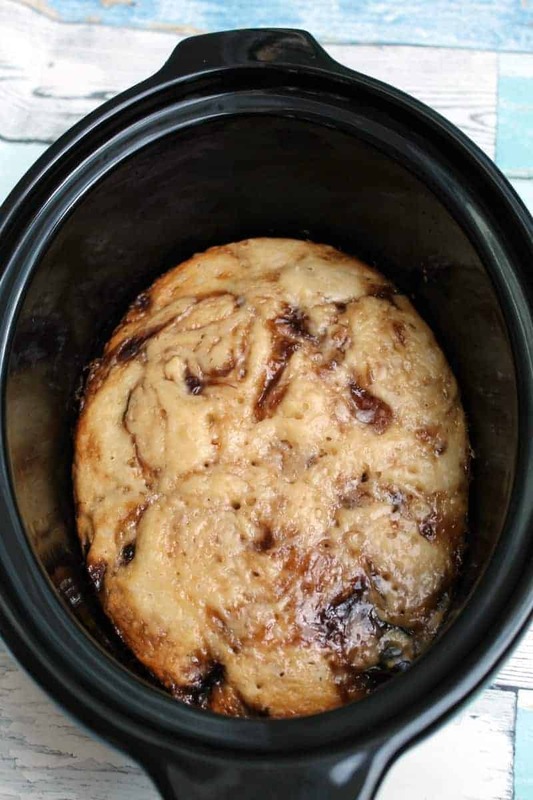 Swirls of peanut butter inside brownies or chocolate batter in cakes always look so delicious, and this inspired me to try a jam swirl in this slow cooker cake. This is a simple muffin-style cake with jam inside, lovely as an afternoon treat or after-school snack. Serve it warm with ice-cream or custard, so indulgent! You could try different flavours of jam, or even Nutella, chocolate spread or peanut butter to make a change. How about peanut butter and jam, that should make a great combination if you are a PB&J fan. 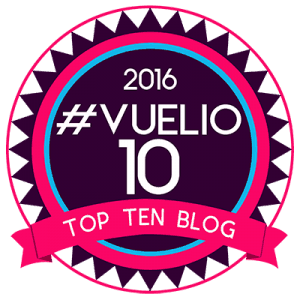 Keep an eye out as I’ll be trying peanut butter and caramel very soon! 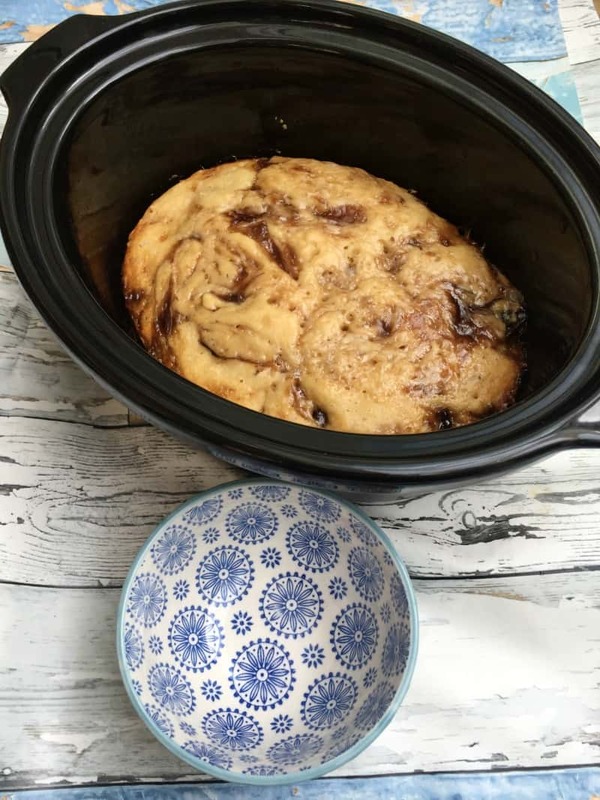 My slow cooker jam swirl cake is so simple to make kids could help you with this too. Check out the recipe video I’ve made too which shows you exactly how to make this! 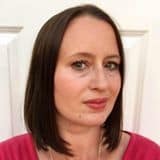 For more recipes do check out my guide to baking in a slow cooker and my slow cooker recipe archives too. Here’s the strawberry jam version ready to bake. Or the plum jam version with cherry ready to serve. Pour over warm custard or top with ice cream, delicious! 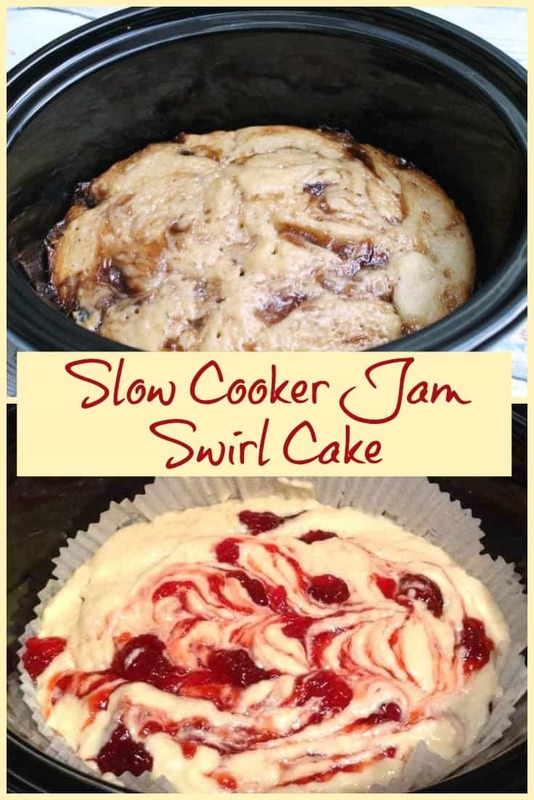 Make a slow cooker jam swirl cake today! Mix the milk, egg, oil and sugar together in another bowl. Pour the milk mixture into the dry ingredients and mix gently. 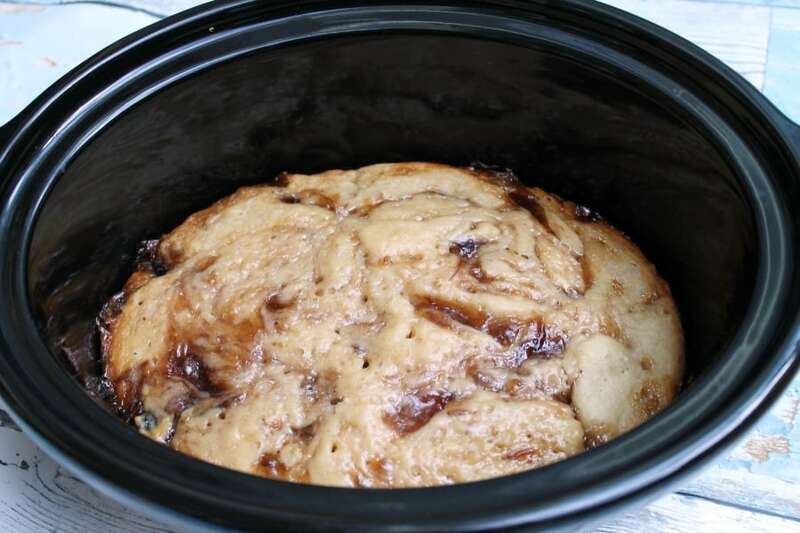 Put half the mixture in your prepared (greased, lined) slow cooker bowl. Drop on some spoonfuls of jam. Top with the rest of the cake batter, then add more spoonfuls of jam on top. Swirl the jam around with a knife to achieve a pretty effect. Optional: add cherries too. All kinds of jam work well - strawberry, raspberry, plum, blueberry, whatever you like! In my slow cooker this took. 2-3 hrs approx on high, but mine cooks slowly. Yours may take less, check from about 1.5 hrs and remove the pot when a skewer comes out clean. Turn out onto a rack to cool. 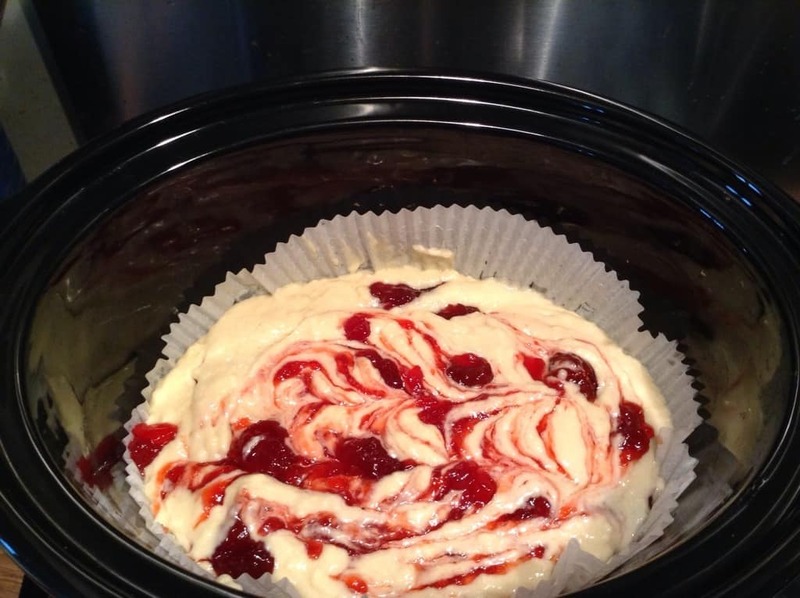 What size slow cooker did you use for the jam swirl cake please? Hi heather this one I made in my 3.5 litre oval one. Just made this and it was fantastic. Recipe worked perfectly and tasted great. Putting more jam in next time. Didn’t use a tea towel over the lid I forgot. But it didn’t need it. The cake was lovely and moist. Yum. Thank you. would this work with the same ingredients but in the oven? Yes I am sure it would, probably about 45 mins or so like a loaf cake but do check and keep and eye on it. Hi Michele, you can use one if you find your slow cooker lid gets very wet and starts to drip. Hope that helps! Hi Linda, I haven’t tried it but I don’t see why not, not sure how fresh strawberries would hold up to the long cooking thought – they may go a bit mushy. My strawberry topped yoghurt cake has been successfully made in the slow cooker though.